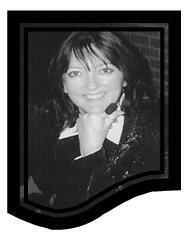 Member, Adjudicator/Judge with the Canadian Dance and Dancesport Council, (C.D.D.S.C.) Mary is also a registered Dancesport competitive coach for both the amateur and professional dancers in the ballroom world.Mary founded “You Can Dance Studios Inc.” in 1992. She has taught American and International style Ballroom, Mambo, Salsa, Swing,(ECS and WCS) Hustle, and Merengue in the Toronto area for over 15 years.As a Professional dancer, Accredited Teacher, Director & Choreographer, Mary has been dancing, teaching, and performing for over 30 years. She has been trained in many styles of partnership dance. Her portfolio includes American and International style Ballroom, Latin, (Mambo, Salsa, and Merengue), Nightclub, as well as Cabaret.With her diverse dance background Mary incorporates many of her dance skills and techniques into her teaching programs concentrating on connectivity through lead and follow… “The more you understand about movement and partnering the better a dancer you can become….”In her early career Mary has trained with some of North America’s leading teachers and performers such as William Barker, (Fred Astaire School), and Mitzi Reubenstein, (Fred Astaire School). She has also trained under Peter Billett, (A former Professional World Black Pool Championship finalist, U.S. National Championships Finalist, examiner, world adjudicator/judge, and past president, with the USISTD).Over her career Mary has won gold medals for competitions in both the amateur and professional world of dance. Currently training dancers for WCS competitions: focusing on J&J and choreography for Rising star divisions. From newcomer to beyond. To see a list of her students accomplishments go to www.youcandance.on.ca.